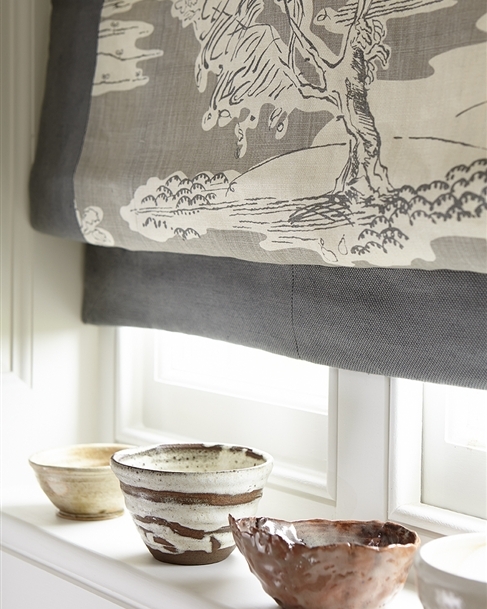 Elegant, stylish and practical - Our made to measure Roman Blinds are perfect for any room and works well on all windows, large or small. 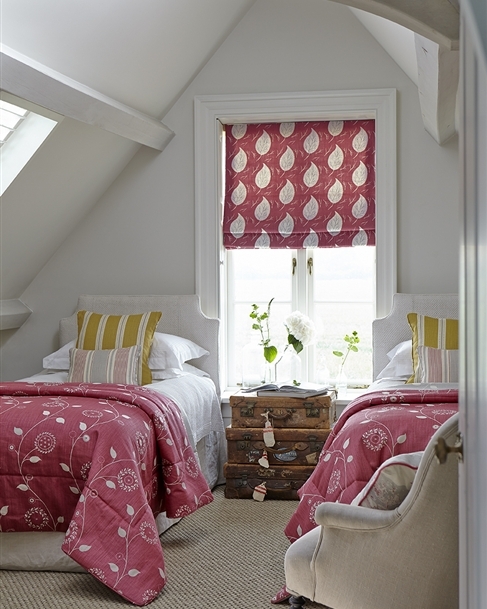 1) Custom designer Roman Blinds with wooden batten with a corded pull. Also provided will be an acorn and 2 cleats. 2) Made to measure roman blinds fixed to a rotary chain track with chrome beads. Both options are available. However, we would advise, due to increased health and safety restrictions, that made to measure Roman Blinds over 1.3m in width and a drop/length of 1.5m or over are ordered on a rotary chain track. This is because the pressure required to pull up the larger blind tends to cause the safelty 'break aways' to pop open as would a child pulling on the cords. 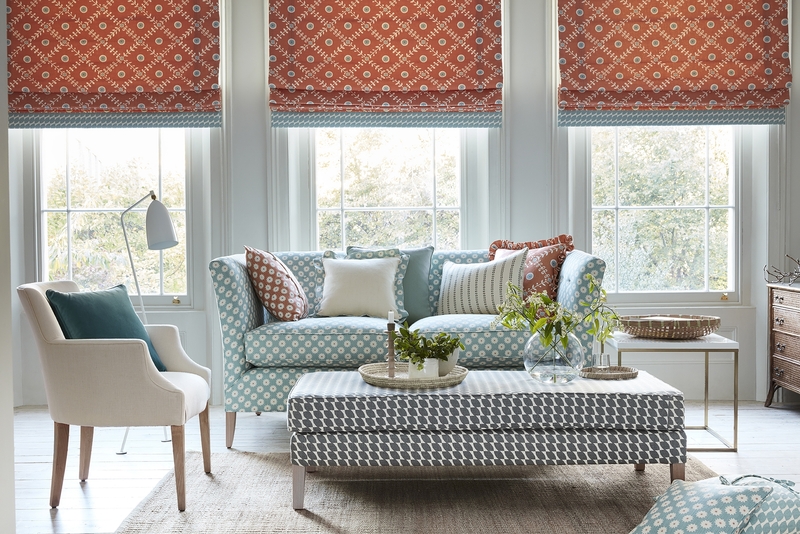 You can choose to have a contrasting border of fabric down two sides and along the bottom; we also offer a contrasting border to the bottom of the blind only. 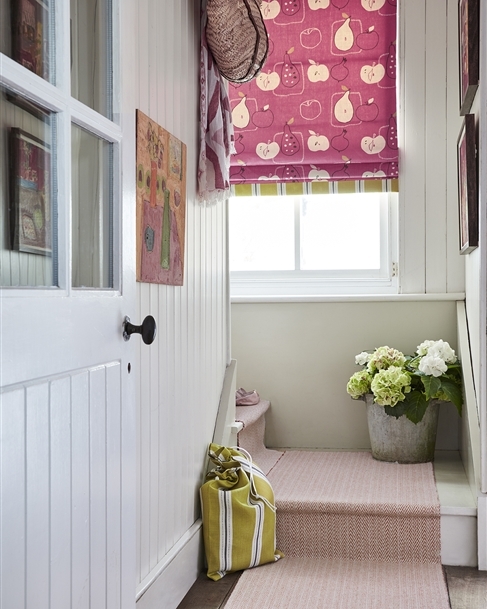 Please note that this border will be visible when the blind is up. 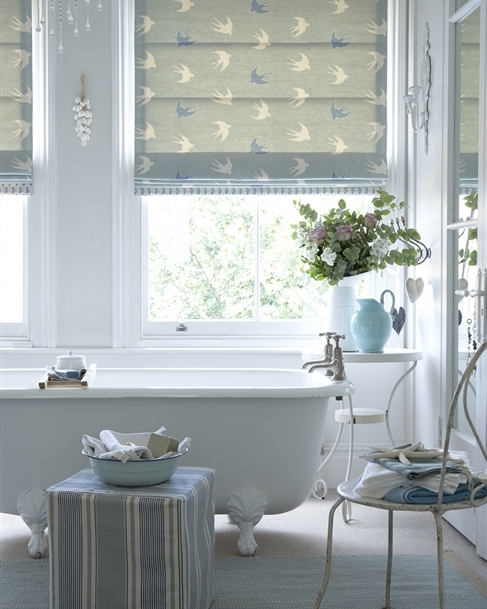 The mechanisms on our quality designer Roman Blinds come with a 1 year guarantee. Young children can strangle in the loop of pull cords and chains that operate window coverings. 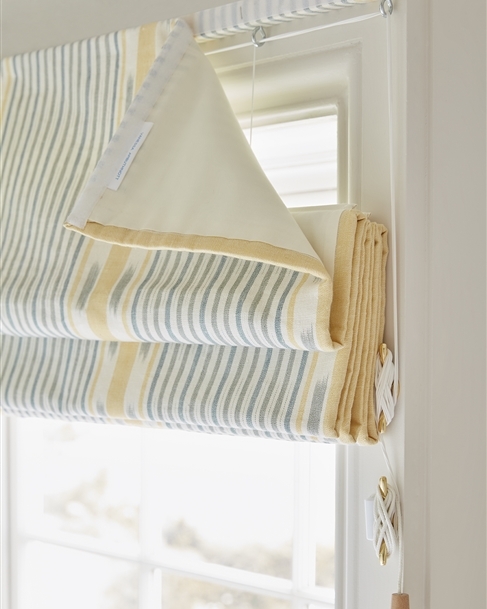 New safety regulations BS EN13120 from 28th February 2014; please read and follow the instructions provided with your custom roman blinds and use the safety equipment supplied. If you have any questions, please contact us. 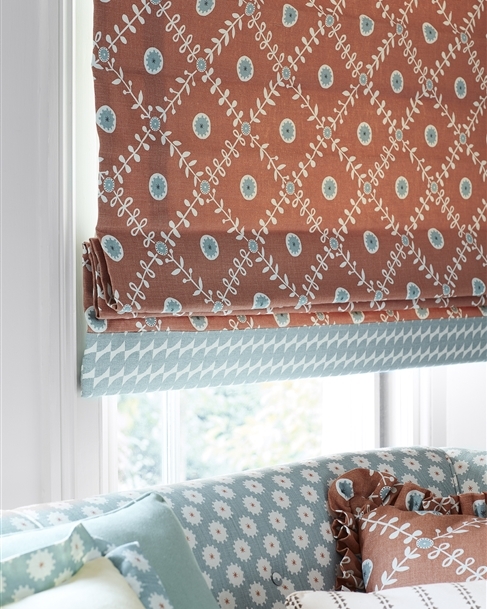 As from the 28th March any blinds ordered through our UK Made to Measure roman blind service will be supplied with a safety device and should be fitted as directed in the fitting instructions also supplied with the blind.